When you stay at Green One Hotel in Lapu-Lapu, you'll be on the waterfront and 12 minutes by car from Gaisano Grand Mall Mactan. 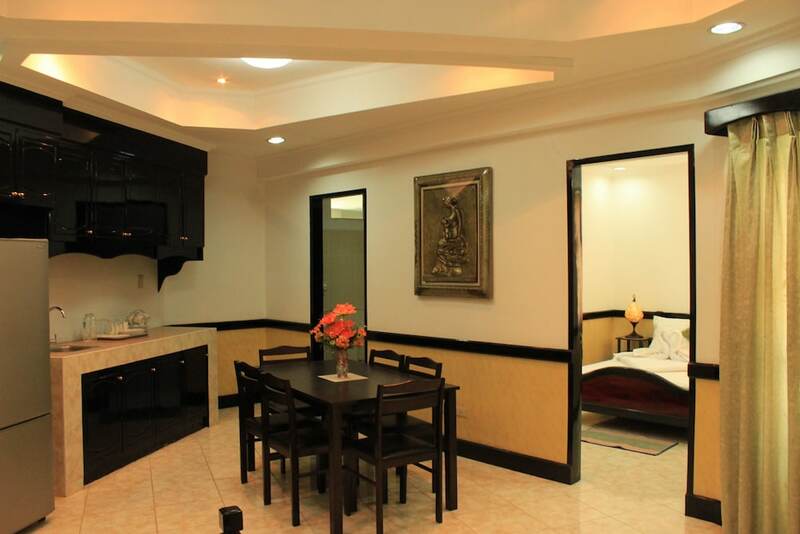 This hotel is 10.5 mi (17 km) from Cebu IT Park and 11.2 mi (18 km) from Fuente Osmena Circle. Make yourself at home in one of the 29 air-conditioned rooms featuring refrigerators and minibars. Rooms have private balconies. Complimentary wireless Internet access keeps you connected, and satellite programming is available for your entertainment. Bathrooms have shower/tub combinations and complimentary toiletries. Take advantage of recreation opportunities such as an outdoor pool or take in the view from a rooftop terrace and a garden. Additional features at this hotel include complimentary wireless Internet access, babysitting/childcare (surcharge), and gift shops/newsstands. The shuttle (surcharge) will take you to the nearby beach or shopping center. Enjoy a meal at the restaurant, or stay in and take advantage of the hotel's 24-hour room service. Quench your thirst with your favorite drink at the poolside bar. Cooked-to-order breakfasts are available daily for a fee. Featured amenities include express check-in, express check-out, and complimentary newspapers in the lobby. A shuttle from the airport to the hotel is provided for a surcharge (available 24 hours), and free self parking is available onsite.